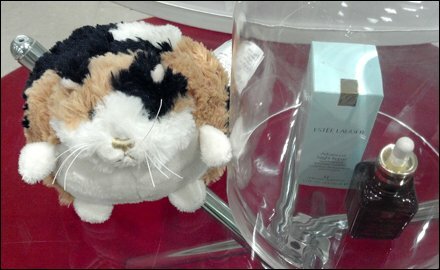 This cute chubby Hamster (or possibly Groundhog) served as speechless spokesmodel in this cosmetics point-of-purchase display. 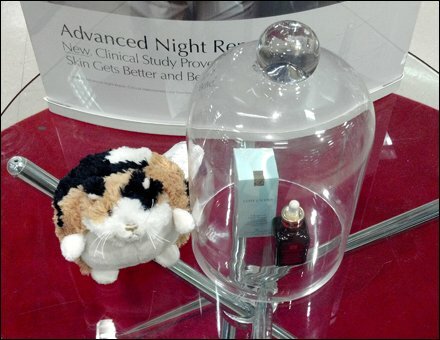 The Bell Jar further focused attention and elevated the item‘s merchandising. The Hamster either escaped or possibly was kept from chewing the product by the Bell Jar itself. There was no indication the Hamster was a giveaway with retail purchase. So he must be sales staff.